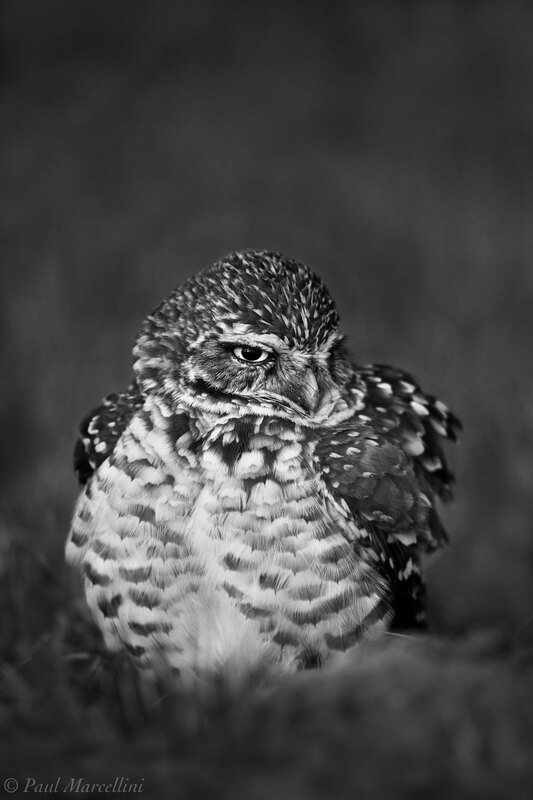 The cute Burrowing Owl (Athene cunicularia). Also available in color. Photo © copyright by Paul Marcellini.